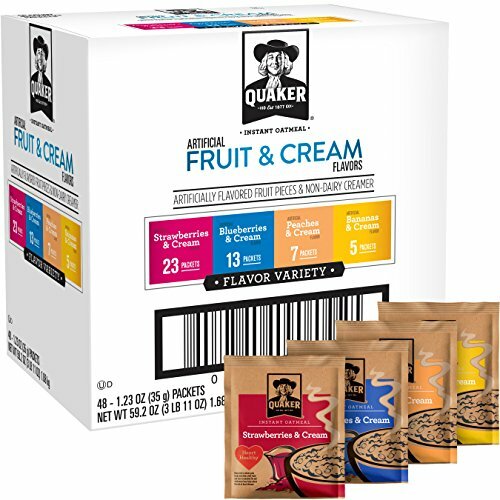 For energy to help you start your morning try a wholesome breakfast with Quaker Instant Oatmeal in a variety of fruit and cream flavors. Enjoy the rich flavor of cream blended with the sweetness of fruit flavors while the hearty whole grains fill you up. Single-serving packets are easy to prepare for a hot breakfast choice on even the busiest morning. Simply empty the packet contents into a bowl, measure and add hot water, and stir. Your oatmeal is ready to eat only 90 seconds later. The packets are also portable, so you can take one with you and prepare a wholesome bowl of oatmeal anywhere there's hot water. 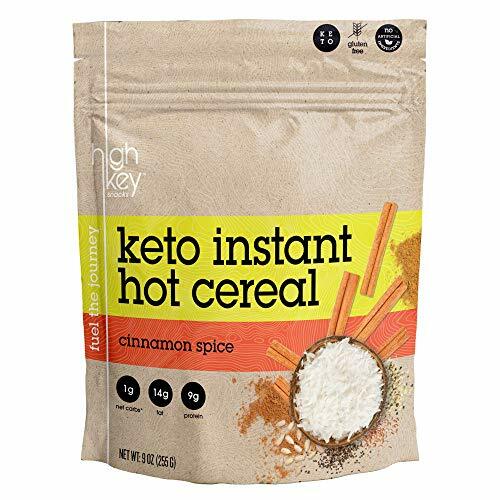 Made with natural ingredients, HighKey Snacks Keto Instant Hot Cereal helps you greet the morning with the energy you need to tackle your busiest days without slowing down. Indulge in this seed- and nut-based hot cereal with a burst of cinnamon flavor without the guilt. Gluten-free, grain-free, and keto-friendly, this oatmeal alternative is just 1g net carbs but is packed with 9g protein and 4g fiber. Tastes great and keeps you going! 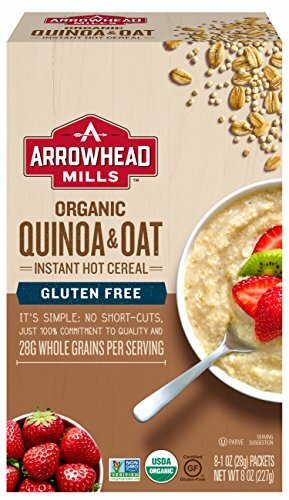 Arrowhead Mills Organic Gluten-Free Instant Quinoa & Oat Hot Cereal combines the subtle nutty taste of quinoa with whole grain oats for a delicious breakfast the entire family will enjoy. With 28 grams of whole grains per serving and no added sugar or salt, you can feel good about giving this low-fat hot cereal to your family. It is also USDA-Certified Organic, Non-GMO Project Verified and Certified Gluten-Free. Simply serve on its own or topped with fresh fruit and granola for a quick and simple breakfast. Includes eight 1 oz. packets of Organic Gluten-Free Instant Quinoa & Oat Hot Cereal. Arrowhead Mills brand was born in the Texas Panhandle back in 1960. We’ve grown, but we haven’t changed how we do things. We’re still using our same trusted milling process and building long-term relationships with our organic growers, working with them face-to-face, day-to-day. Hard work, honesty, kindness, and business with a handshake – that’s our process. That’s the Arrowhead way. It’s how we bring the awesome goodness of the land to your table, and we’re real proud of it. 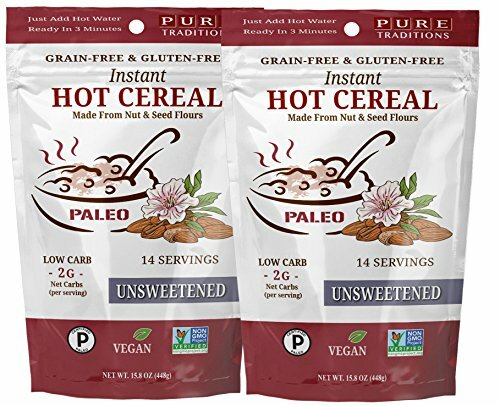 A one-of-its-kind grain-free paleo friendly hot cereal. It's oatmeal without the oats! Includes four, 1. 75 oz single serve packets per box. Made with 100% real food ingredients: Original: Walnuts, ground flaxseed, cashews, coconut flour, pecans, dried dates, vanilla bean. Cinnamon Roll: Walnuts, ground flaxseed, cashews, coconut flour, pecans cinnamon, dried dates, vanilla bean. Toasted Coconut: Organic coconut, walnuts, ground flaxseed, cashews, coconut flour, pecans, dried dates, vanilla bean. Blueberry Flax: Ground flaxseed, walnuts, cashews, coconut flour, pecans, dried dates, freeze-dried blueberries, vanilla bean. Allergen Information: Contains tree nuts. This product is manufactured in a dedicated gluten-free facility. This product may contain traces of other nuts, including peanuts. 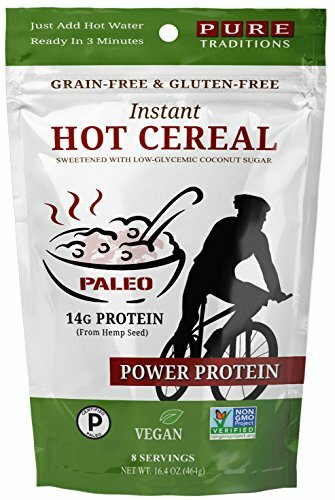 There's hot cereal... and then there's "Power Protein" instant hot cereal. This one's a beast - packing 14 grams of vital protein so essential for building and repairing body tissues, it adds a whopping 26 grams of healthy fats to provide true satiety and more than enough energy to fuel your paleo lifestyle. Its low-glycemic coconut sugar offers you just a touch of sweetness, and it's easy to spruce up with your choice of butter or ghee, fresh fruits, or other toppings of your choice. Even heartier than our other hot cereals, it's perfect for athletes or anyone who needs a protein boost. Just add hot water and wait three minutes - now you're ready to put some serious power into your day. And the sturdy, resealable bag makes all this healthy and hearty energy incredibly easy to tap into. Paleo power, convenience, and a wholesome flavor... get your fill today. Just add hot water and wait 3 minutes, it's that quick and easy! 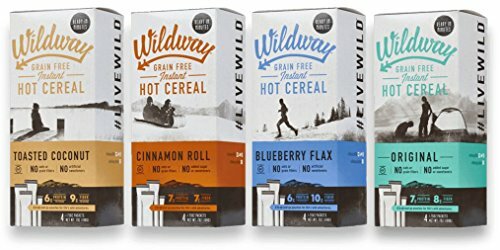 This cereal is delicious and a great alternative to oatmeal, cream of wheat or any other grain-based hot cereal out there. Product is packaged in a sturdy, stand up resealable bag. 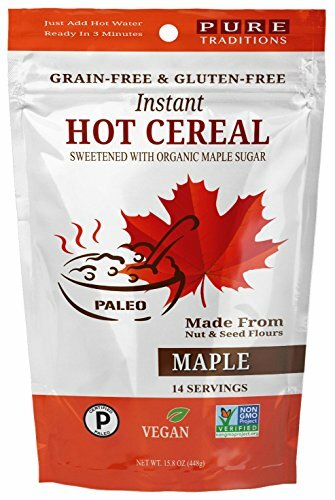 Note: For all of you that loved the hot maple cereal from "On The Go Paleo", this is the exact same product made by the same company, just packaged under a new brand. On The Go Paleo is being discontinued, but you can rest assured that all of their great products will continue to be available under the Pure Traditions label. We have stock for amazon prime shipping soon for the Large Maple Cereal, expected to be available around December 1st, and it will be at the usual prime price of $20.95. 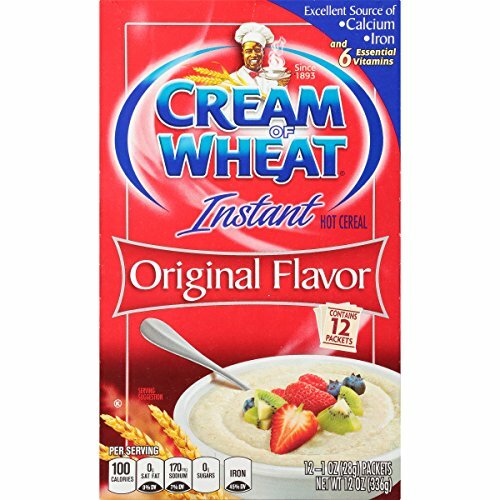 The same great taste and smooth texture of Cream of Wheat, but with the added convenience of single-serve packets. The instant variety is still an excellent source of iron and calcium, and can be easily prepared in the microwave or by adding hot water to your bowl. 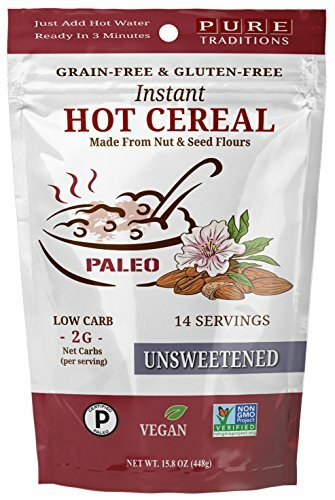 Shopping Results for "Instant Hot Cereal"